Feral Peasant Gallery: Painting of a Daoine Sith couple. Maybe they are elves. Maybe they are only somewhat elven. Either way, the figures are nearly life sized. 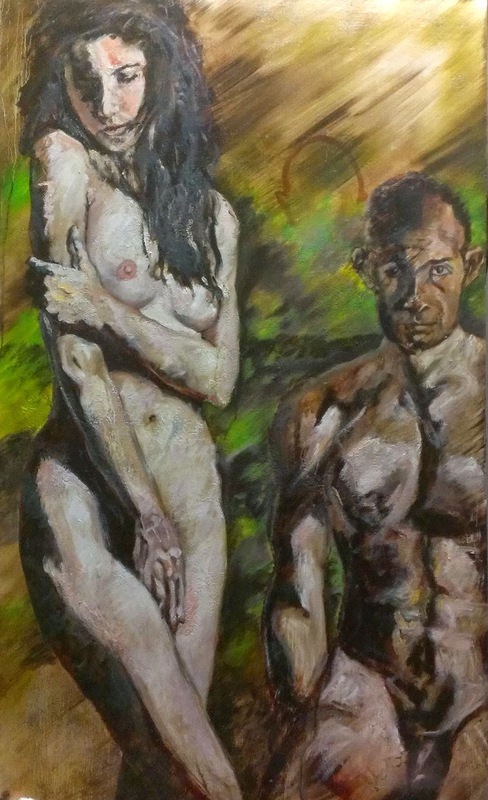 Painted in oil on a wood panel as part of the 'couples in ambiguous poses' series.